Previously published Rock-Eval 6/TOC pyrolysis data are used as a proxy to map the geographic distribution of hydrocarbons in the Canol Formation. Mainly from wells, S1 is interpolated with Kriging software. 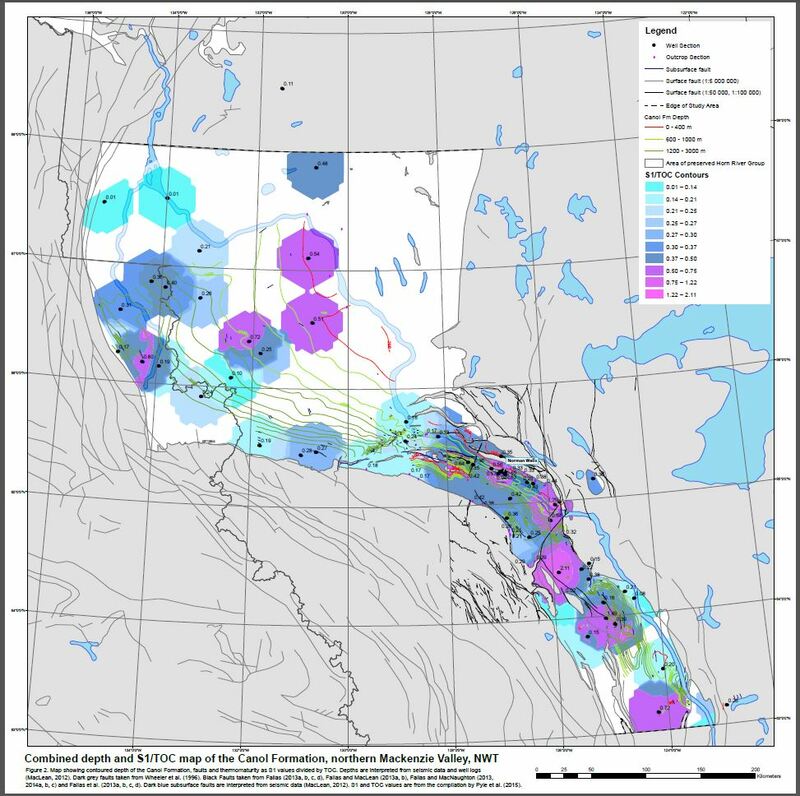 The contoured representation of both S1 and S1/TOC are overlain by a depth map of the Canol Formation, which was generated from interpretations of seismic data and well logs and is contained within a subsurface zero edge determined from both subsurface data and bedrock maps. The Norman Wells area shows relatively high S1 and S1/TOC values and areas structurally along strike also contain relatively high S1/TOC values. S1 from Rock-Eval analysis measures oil within rock. 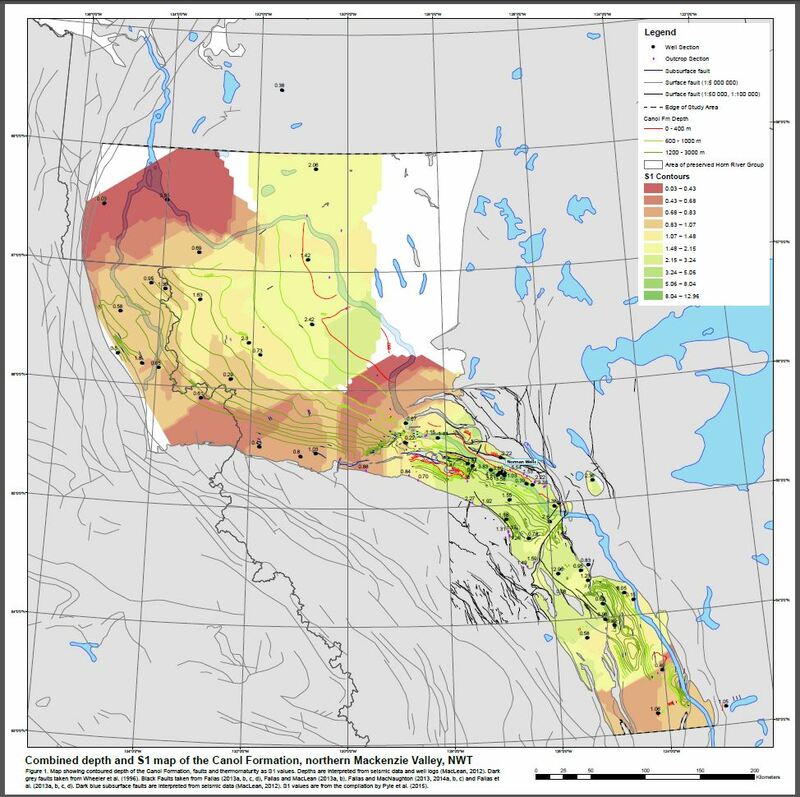 This is a simple geographic map of S1 values for the Canol Formation intended to provide a basic indication of geographic areas where Canol Formation rocks contain relatively high and low amounts of oil in place. The application would be to aid assessment of the unconventional shale oil potential of the Central Mackenzie region.